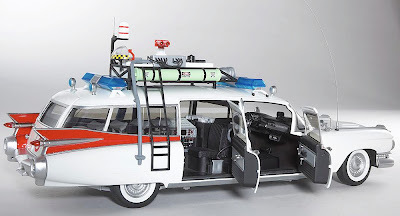 This Ghostbusters research vehicle - based on a 1959-model Cadillac ambulance - is a highly-detailed diecast from the upmarket super-detail Hot Wheels Elite range. 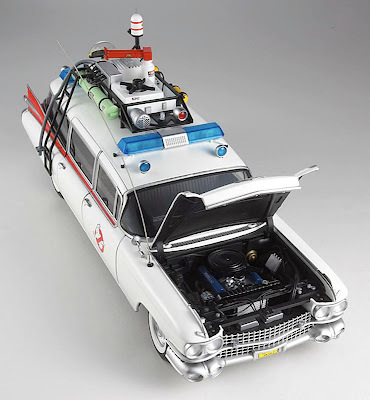 It's available in the two popular scales of 1:43 and 1:18, and while neither of these Elites are cheap, they would seem to be worthwhile, as in either scale, this Ecto-1 appears to be far and away the best we've seen so far. Hot Wheels tell us that the Ecto-1 models are in limited editions of 10,000 worldwide in each size. The delightfully-named ('Ecto' as in ectoplasm) Cadillac ambulance is simply loaded with detail - whether it's on the roof, inside the cabin, or under the lift-up hood, the model's designers and engineers have done their best to pack in the detail. And they have succeeded, as there's really not a lot more you could ask for as miniatures go - in fact, the only extras we might imagine could be a sound chip installation and perhaps LED lighting, but those items will add cost and complexity, so we won't turn a wish-list into a mark-down. Good vehicle, but where are the Ghostbusters? 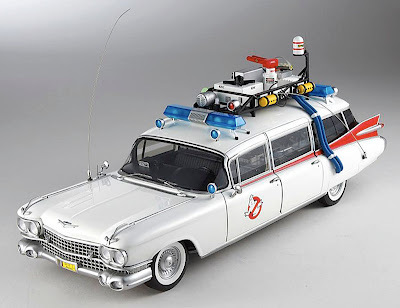 The Hot Wheels Ecto-1 in both scales is well up to scratch, but we would love to see miniatures of the Ghostbusters themselves. Such things can be done - Corgi has produced many James Bond diecasts with figures included, and over in Europe, Tintin miniatures automatically come with appropriate characters - even Snowy the dog features in 1:43 scale. Both versions of this ready-built subject are worth adding to your collection, assuming you are a fan of the movie, of course. By the same token, either car, in either scale, would look spectacular with the addition of figures and diorama scenes. So, even though they are ready built miniatures, there's plenty of scope for model makers to elevate them to new levels of small-scale realism. A very subtle blow with an airbrush to add a little weathering would help take away that fresh-from-the-carwash look, too. In the UK, the ModelZone store chain is handling them with free postage. 1:43 scale Ghostbusters from ModelZone here. 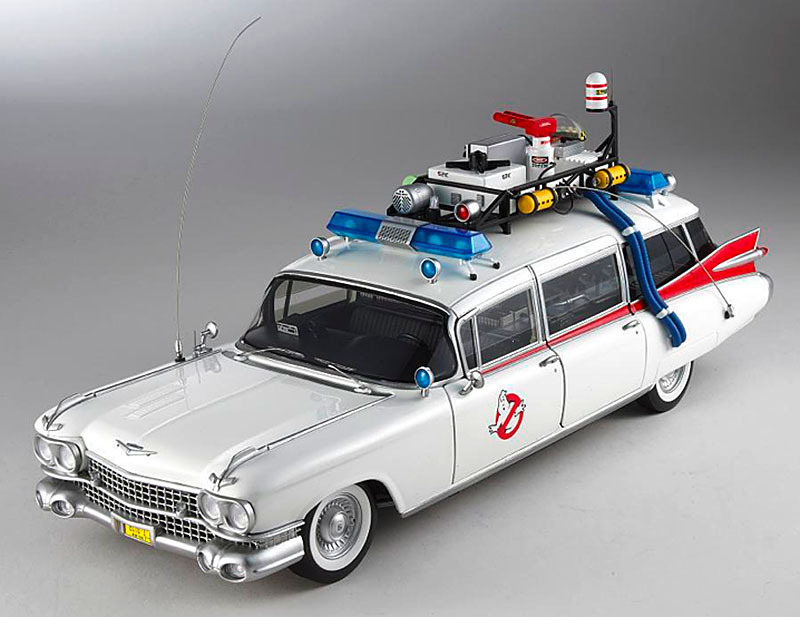 Pre-order the 1:18 scale Ghostbusters from ModelZone here. Amazon have decent deals here.